How can Elizabeth handle a strong overbearing cat? 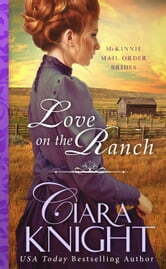 Not JUST another mail order bride book. The McKinnie family lost more than family during the war between the states. 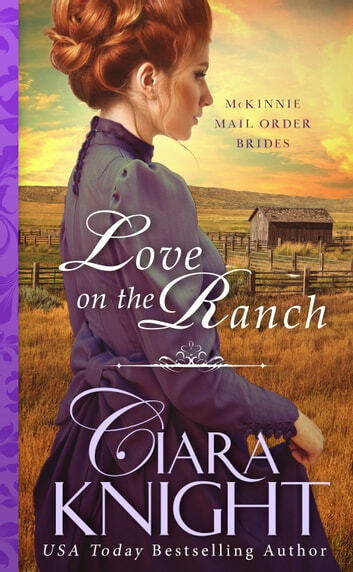 The seven remaining sisters agree to be mail order brides, now that they can no longer exist at their home. Each sister being unique in looks, personality and desires how they want for their future. Elizabeth, the independent woman has agreed move to Seattle to be an equal with her future husband. Undermined by her younger domesticated sister, who takes off to Seattle to trade husbands and locations since she fears Elizabeth won’t be able to handle the cold weather due to her health issues. Elizabeth now has to go to Texas to be the domesticated wife and breeder of son’s for a wealthy cattle rancher. Personalities clash. Each sisters tale is different as each one is. Loved the book. Great series! This book was absolutely outstanding! Get was a stunning tail of love and ranch life. It was a marvelous read. I voluntarily read and reviewed this book in exchange for a free copy. Enjoyable quick read, have good points, interesting storyline and concept that has some challenges makes an endearing read.